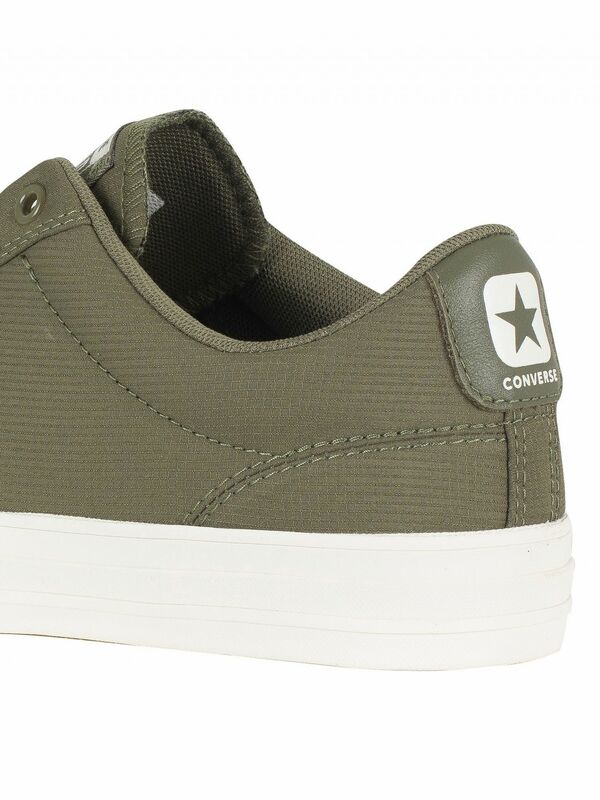 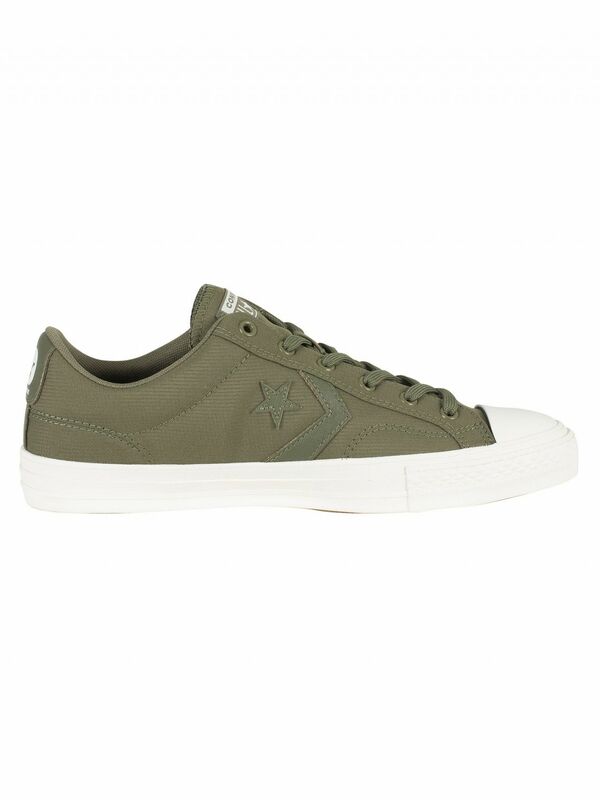 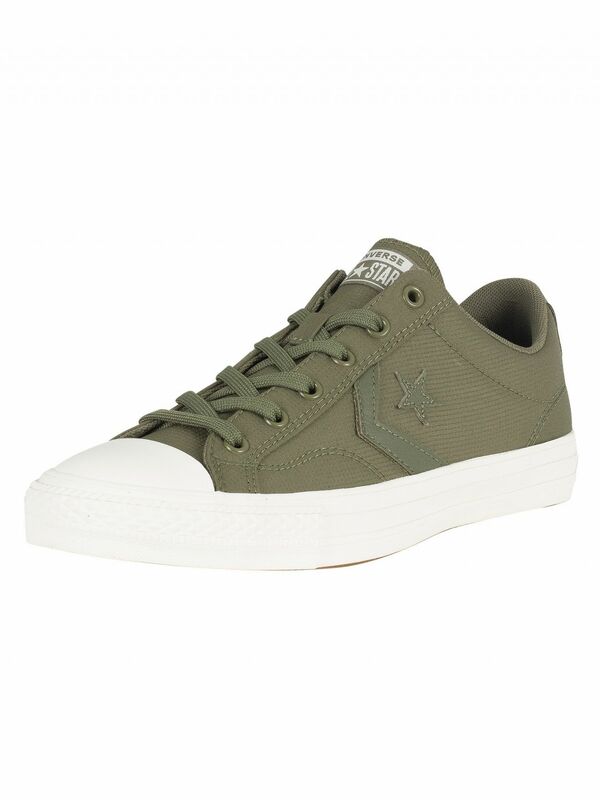 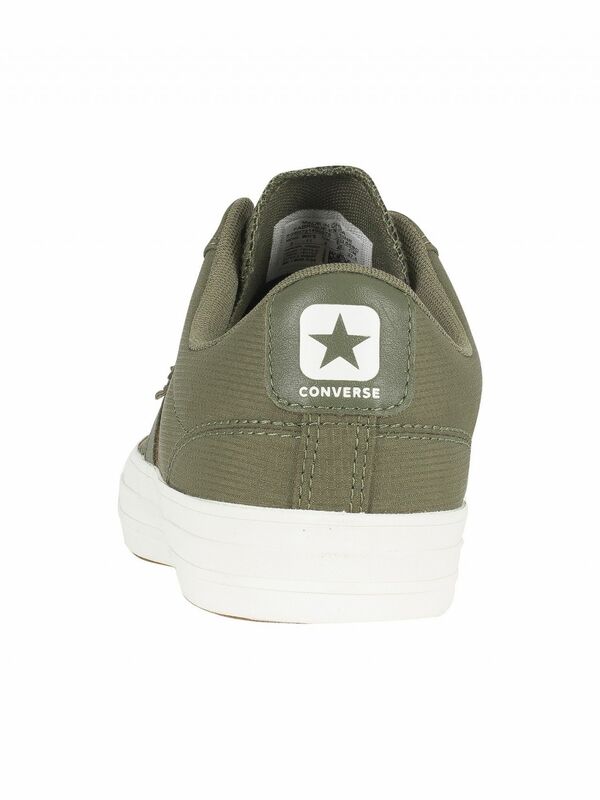 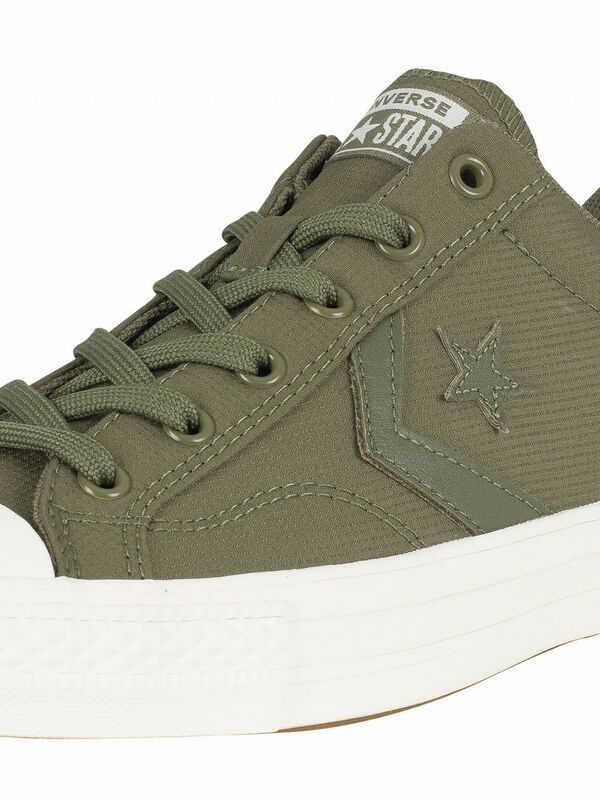 The Star Player OX Trainers from Converse, comes with a mesh texture, a round toe box, a low collar and cushioned collar. 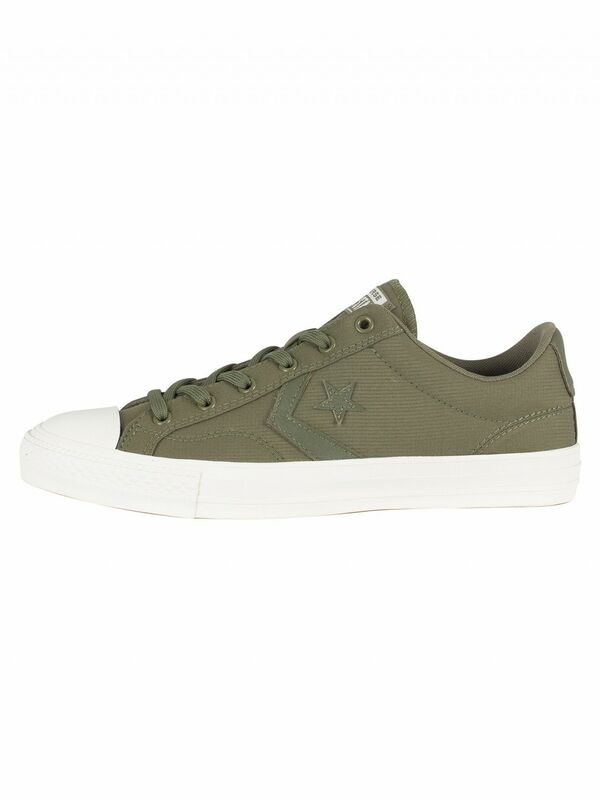 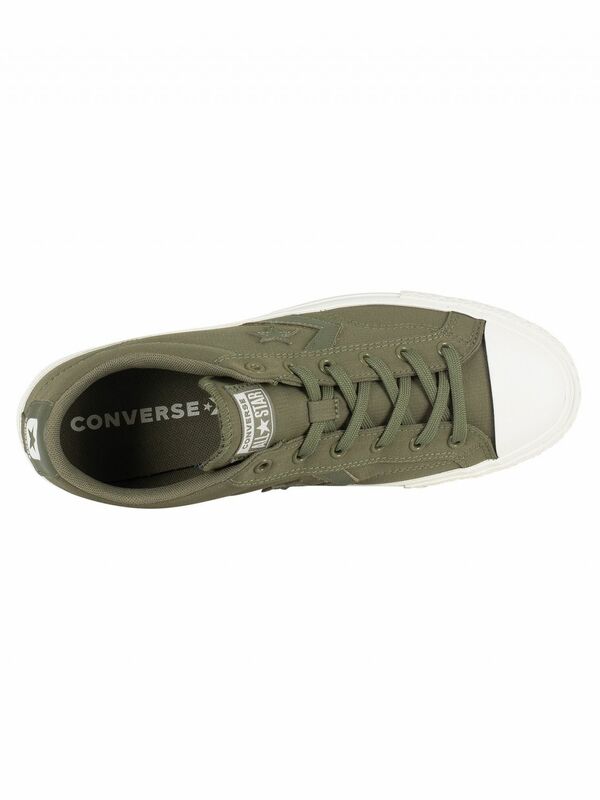 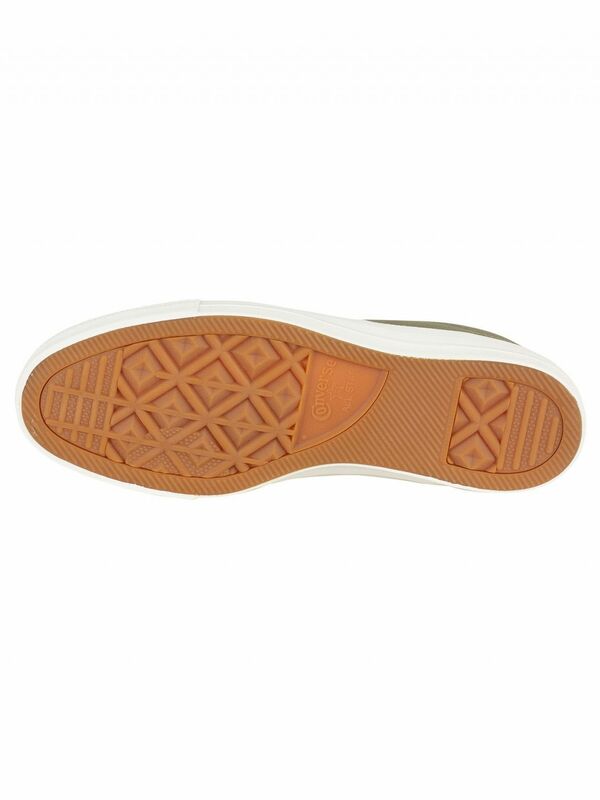 These trainers sport a leather branding on side and heel and a tag on tongue with logo. 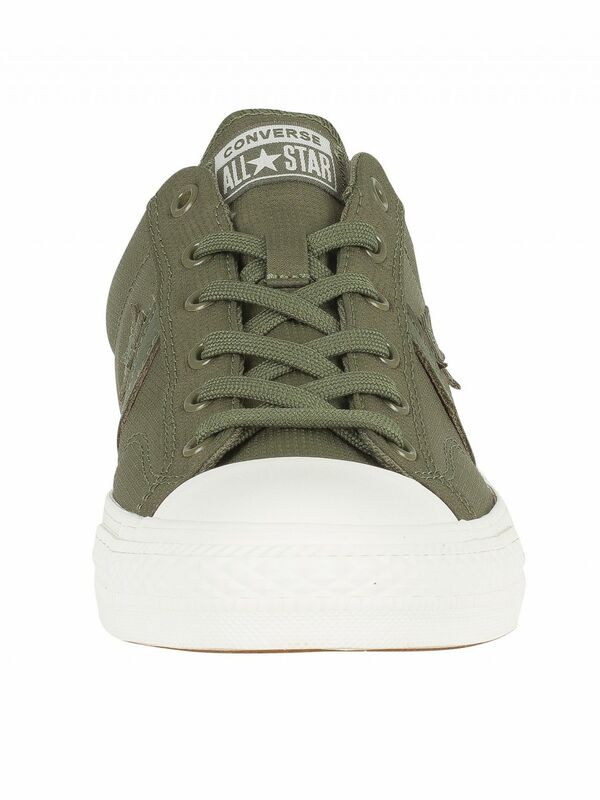 Coming in Field Surplus colour, this pair of trainers features a textile upper and lace closure and with stitch detailing.